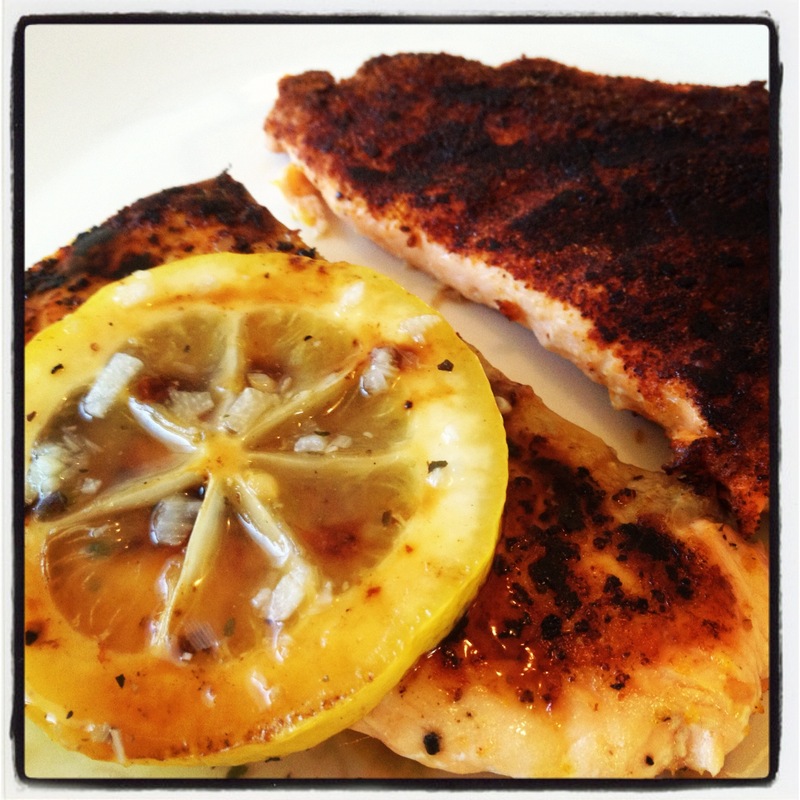 Sprinkle lemon pepper seasoning on both sides of salmon and spray with cooking spray. While the salmon is cooking, spray sauce pan with cooking spray and heat to medium. Add wine and simmer for a few minutes. Dissolve corn starch in a ramekin of hot water and add to sauce pan. Heat sauce to a boil and remove from heat to allow it to thicken. Plate salmon and top with white wine sauce. Combine and mix all seasoning in a bowl. Generously season one side of each salmon fillet and spray each side with cooking spray.